The cholera outbreak in Mt Darwin claimed two more lives on Wednesday evening, bringing the number of people that have died from the disease so far to four, with the cases rising to 79. 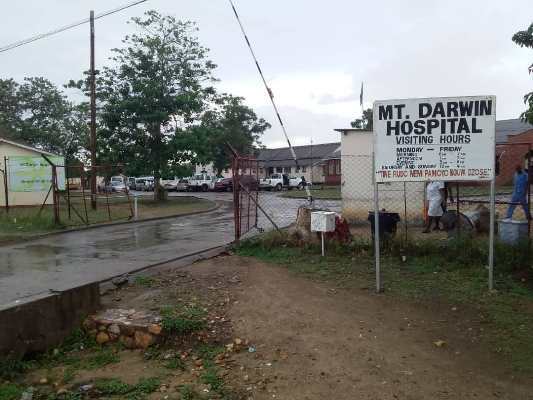 The first victim died on Sunday when the outbreak was first reported, while another patient died on Tuesday at Mt Darwin District Hospital. Mashonaland Central provincial administrator Mr Cosmos Chiringa, who is also the provincial chairman of the Civil Protection Unit, confirmed the latest deaths. He said plans were afoot to set up a cholera treatment camp in Mt Darwin, and the province was still mobilising resources for that. Mr Chiringa appealed to the corporate world and other well wishers to assist the province and avoid a possible spread of the disease to other districts. District medical officer Dr George Mapiye said tests had confirmed that the disease was cholera and they now awaited sensitive tests to determine the appropriate medicine to administer. Dr Mapiye said the cases had now risen to 79. “We can confirm that it is cholera because the tests we conducted showed that it is cholera,” he said. We are now doing sensitive tests which will guide us on the type of medicine to administer. “The number of those affected has risen to 79 and we have recorded four deaths. The World Health Organisation has since announced that it will assist Government in setting up treatment camps in the area. The affected area is a mining community where most artisanal miners from Mt Darwin and other areas illegally pan for gold. The area has no clean water sources or toilets, and open defecation is rampant. Government recently evacuated the people who were mining in the area conscious of the health hazard facing them.